James Clyde Cates, 81 passed away peacefully on March 29, 2019. He was surrounded by his loving family. Jim was born on January 20, 1938 in Harvard, Il. to John Clyde and Rose (Leiting) Cates. He spent his childhood on the family farm where he thoroughly enjoyed helping with daily farm chores, eventually having horses and ponies of his own. 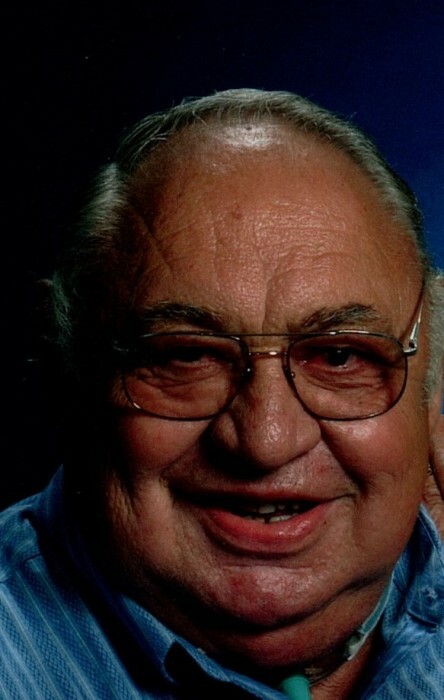 Jim graduated from Wilmot High School in 1956. On November 8, 1958 he married the love of his life, Joyce Ann (Probst) at St. John’s Catholic Church in Twin Lakes, Wi. They settled in Bassett, Wi where they were blessed with 5 beautiful children and enjoyed close family ties. Jim was a milkman for Mariondale Farms in Lake Geneva and then enjoyed a short career with American Motors before settling at Thelen Sand and Gravel. After 30 years of being an operating engineer at different companies, he retired in 1999. He filled every waking hour with his family, friends, and passions. Outside of work, Jim spent years coaching his sons’ Genoa City baseball teams, was involved in the Silver Lake Sportsmans club and was a Wilmot Volunteer Fireman. He was in charge of the pony cart rides at Honey Bear Farm and was a member of St. Johns’ Church. Jim and his family spent countless hours at the card table as he enjoyed a good euchre or sheepshead game at any opportunity. The door was always open to friends and family! Jim had zest for life. He was a lifelong, avid hunter and fisherman and enjoyed gambling trips with his wife. He was a great fan and supporter of All Wisconsin Sports teams including the Packers, the Brewers, the Bucks and the Badgers. Jim was known as a great story teller and entertained everyone with his quick wit. He was always ready to share a new, favorite, colorful joke! He brought a smile and laugh to all who knew him. The common thread in all his hobbies was the camaraderie Jim shared with friends and family. He took pride in knowing that sharing his knowledge and humor would bring joy to others. He is survived by his wife of 60 years and eternal love, Joyce, his children John, Jeff(Paula), Joe (Dannette) Cates and Jennifer (Ken) Nardini. 14 grandchildren, Joshua(Jessie), Jeremy, Jacob(Courtney), Dakota, Jordan, Megan, Daniel, Corey (Nia) Cates. Cassie, Karley, Kamryn, Kenedy, Kolton, and Keelyn Nardini. 4 Great Grandchildren, Brycen, Amarae, Zsofia Cates and Calen Nardini with 2 more on the way. He is also survived by brothers Ray (Lois) , Dewey ( Karen ) Cates and Judy (Ken) Kelley, many nieces and nephews. He was preceded in death by his parents, a sister, June and son, Jerry. The Cates Family will receive friends from 4:00PM to 8:00PM on Tuesday April 2, 2019 at the Haase-Lockwood & Assoc. Funeral Home, 620 Legion Dr. Twin Lakes, WI. Mass of Christian Burial will be held at 11:00AM Wednesday at St. John’s Catholic Church, 701 N. Lake Ave. Twin Lakes, WI. PLEASE MEET AT CHURCH. Interment will be in St. John’s Cemetery. For online guestbook: haaselockwoodfhs.com.